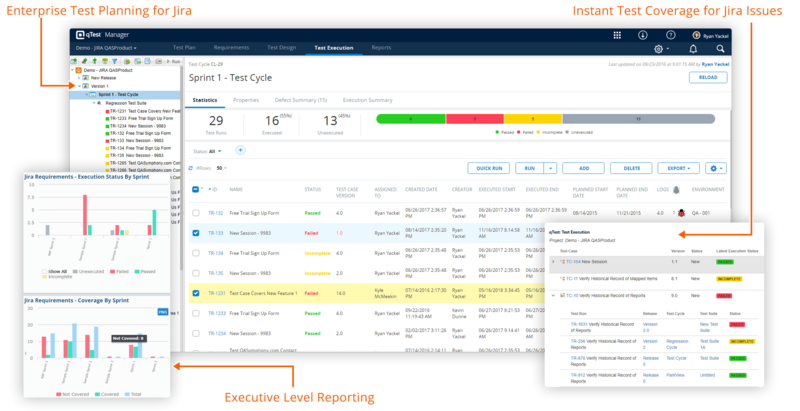 qTest gives teams real-time integration at both the requirements and defect levels, providing a comprehensive Jira test management tool. 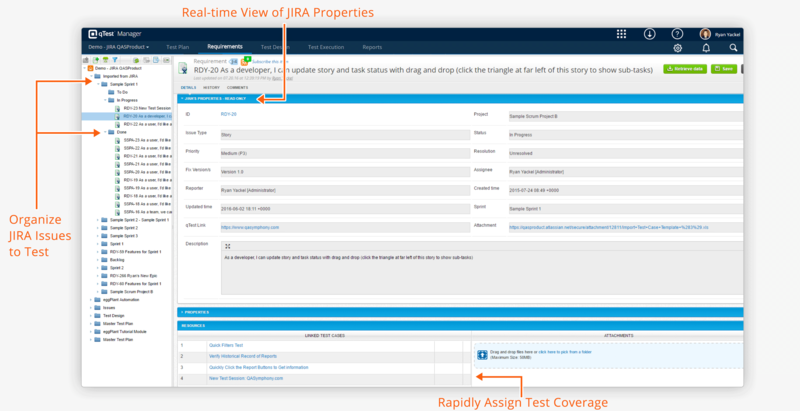 Seamless integration with Jira user stores, tasks and other custom issue types for test coverage. Submit test run results into Jira bugs and other issues types when reporting defects. View test run execution history, Jira issue coverage and more in real-time. Easily map test projects to multiple Jira projects. Works with a variety of Jira deployments / customizations. No field mappings required between properties – no scheduled syncs, no maintenance or overhead required. 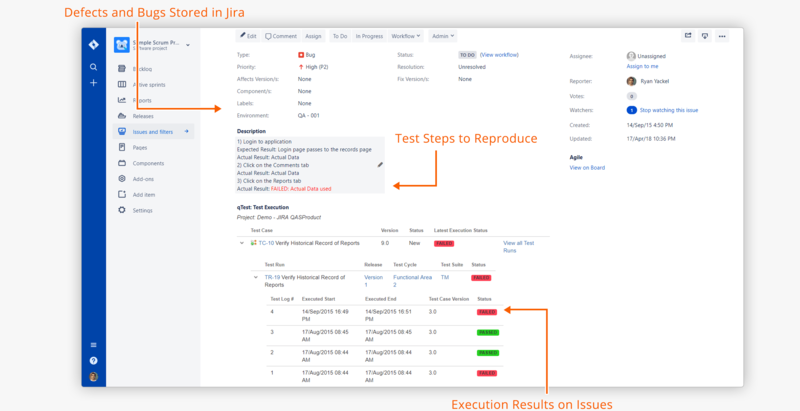 Provide testers with a real time view into Jira issues, easily allowing them to design test cases from them and ultimately associate these back to the issues for full test traceability and coverage. 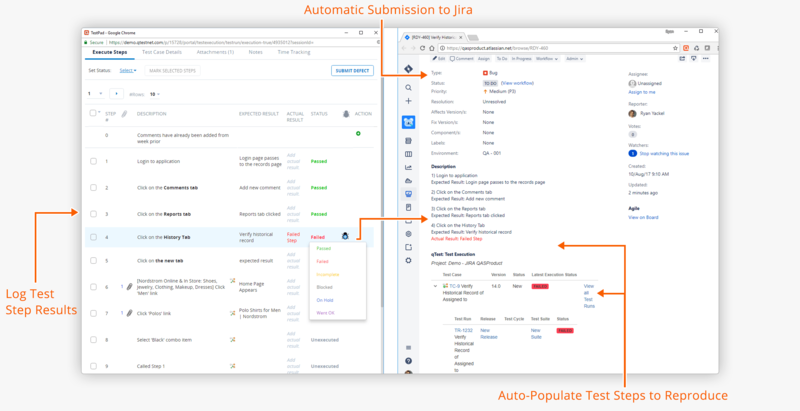 Think a Jira Test Management Add-On is The Solution? Think Again. Learn more about just some of the limitations of a test case management add-on. Most test management solutions leverage a “scheduled sync” rather than a real-time integration. This requires costly overhead to maintain project mappings that can lead to update delays, poor performance, and possible data collisions. qTest’s true, real-time integration provides no more delayed syncs so your data is always up to date — including requirements, defects and more. See how easy it is to set up qTest’s integration with Jira. 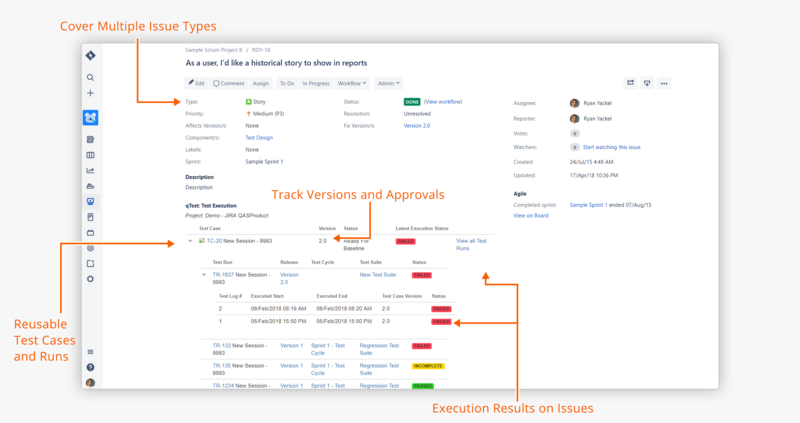 All bugs reported in JIRA will contain the test case summary, execution result, steps to reproduce and more so development can quickly work on resolving the bug issue. The issue will contain the entire test run history status and accessible external links back to the qTest test case management platform. Download our jargon-free data sheets about qTest Jira test management.